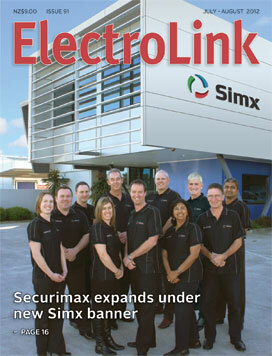 After nearly 30 years of growth supplying electrical contractors with value adding products, Securimax is now planning a step-change to its business under a new name. Having long since left its electronic security origins behind, Securimax has built a significant presence in the electrical industry with brands like Manrose ventilation, SmartVent home ventilation systems, MaxVak central vacuum systems and its growing lighting range. The way the judge arrived at his decision to convict an experienced but unregistered electrician earlier this year for working without a licence has highlighted the need for people working in the electrical industry to keep up with changes to the electrical compliance regime in the Act and Regulations. While it was evident the electrician was not registered, determining whether or not the work he carried out was prescribed electrical work (PEW) and, if it was, whether he worked under supervision as he claimed or worked on his own, was central to the prosecution. The first step in a complete overhaul of industry qualifications intended to simplify training pathways and bring consistency to national qualifications is now completed and awaiting approval by the New Zealand Qualification Authority (NZQA). As soon as NZQA accepts the proposals for the 22 new qualifications, the industry can go ahead and develop the details that will redefine the training pathways for the electrical industry. A series of recent fatal dust explosions in sawmill and timber processing plants in British Columbia has highlighted the danger of combustible dust build-up in industrial plants and storage facilities and highlights the need for better dust risk management practices. A lack of experienced location test certifiers and senior electrical inspectors competent in hazardous area zoning is creating a roadblock for industry and calls into question New Zealand’s expertise in hazardous areas management. 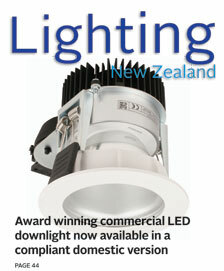 Winning the Illuminating Engineering Society’s Luminaire Excellence Award in New Zealand last year, the DOT92LED Downlight has now gone on to win the combined Australia and New Zealand Luminaire Excellence Award for 2012. This has provided international recognition for Nimbus Lighting, the designers of the DOT downlight range, and their skilled use of LED as a general light source. The Energy Efficiency and Conservation Authority (EECA) is pushing ahead with the introduction of a Minimum Energy Performance Standard (MEPS) for all reflector and non-reflector self-ballasted compact fluorescent lamps (CFLs). The MEPS standard AS/NZS 4847.2:2010 is expected to be in place by the end of the year and will create an offence for lamp importers, distributors and resellers to import or supply non-conforming CFL lamps into New Zealand. Having missed out on the benefits of recent subsidy programs, building owners and their representatives have welcomed the Energy Efficiency and Conservation Authority’s latest offering designed to encourage the investment in energy efficient lighting. Targeting improved efficiency in the commercial lighting sector, EECA’s latest program provides subsidies for the installation of luminaires with lighting controls that switch lights on and off and adjust light output according to ambient light levels within a work space.